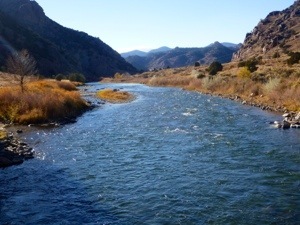 Today the children were out enjoying festivities for Halloween while me and my childhood friend, Matt Lucia, enjoyed a great day on the Arkansas river. 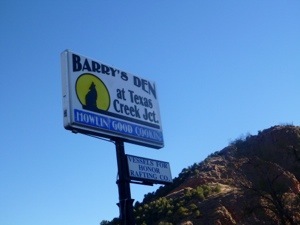 Our morning started out at Barry’s Den for a delightful breakfast while the sun warmed the river a bit. The fishing for the last day of October was rather surprising! 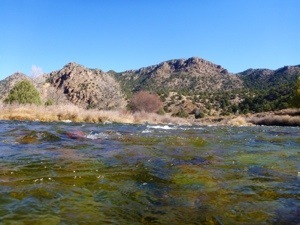 We caught fish on nymph droppers, streamers and even some dries as the day progressed. 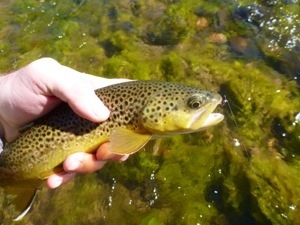 We experienced a great BWO hatch at about 3:30 pm. What a glorious last day of October…good to be on my home waters. Please check out my Strideaway.com article on canine limber tail syndrome. 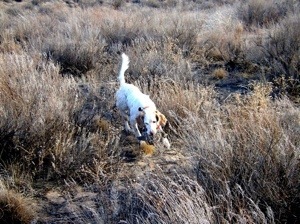 Next weekend is the opening of Colorado quail season….I can’t wait to get my bird dogs on the prairies again!